The LCK playoffs will begin on April 3. 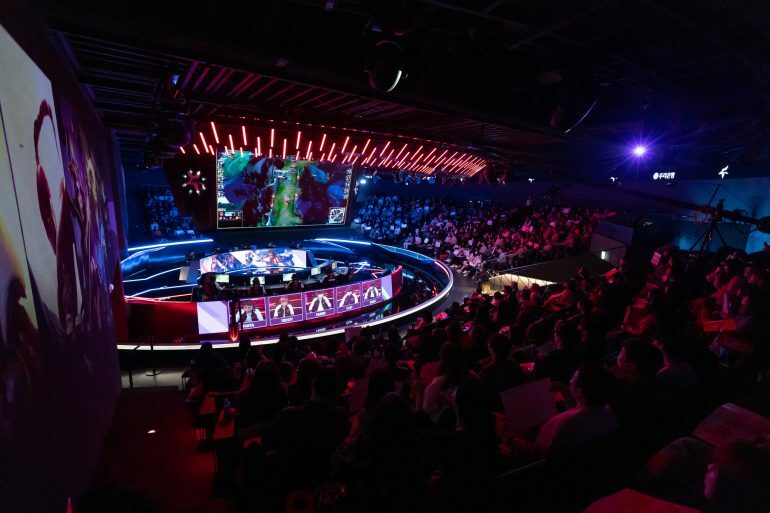 After 10 weeks of aggressively-played matches, the five 2019 LCK Spring Split playoff teams have been decided—and some new teams have entered the fray. Griffin will unsurprisingly be waiting in the finals after ending the regular season in first with a 15-3 record. As arguably the best team to not make the 2018 World Championship, Griffin dominated the LCK for almost the entire spring, faltering slightly in week eight with the arrival of Patch 9.5. Right under Griffin in second are the former global giants, SK Telecom T1. Seeded directly to the semifinals with a second-place finish, SKT came into the new year with a completely-revamped roster after an extremely-underwhelming 2018 season. Dubbed the SKT “dream team,” the three-time world champions will hope to regain their former glory by winning their first LCK title in two years. Kingzone DragonX defied many pundit’s preseason rankings by ending the regular season in third. Led by the former KT Rolster AD carry Kim “Deft” Hyuk-kyu, Kingzone were only three game wins away from tying SKT for second place. And like SKT, Kingzone are also former LCK champions all hoping to find the Mid-Season Invitational qualification, and redeem the organization for its lackluster international performances. And kicking off the playoffs with the best-of-three wildcard match are none other than the LCK’s two newest teams: DAMWON Gaming and SANDBOX Gaming. As rivals in Champions Korea last year, DAMWON and SANDBOX dominated the LCK titans of old in KT, Gen.G, and Afreeca Freecs to qualify for playoffs in their inaugural split. With both DAMWON and SANDBOX fielding an array of rookies, whichever team advances from this wildcard match will be one step closer to completing the coveted royal road. The LCK playoffs will begin with DAMWON and SANDBOX’s wildcard match, which is slated for April 3.